Research by professor Steven Rogelberg and fellow psychologists shows on average, employees spend 6 hours and managers spend more than 23 hours a week in meetings - and the numbers keep growing. For an activity that takes up so much time and energy at the workplace, it’s one of the most critical, yet overlooked aspects when it comes to building strong company culture. At Meeteor, we’ve spent the past few years dedicated to improving meetings in organizations of all kinds. We’ve learned from hundreds of people about how meetings have impacted their work. In our book, Momentum: Creating Effective, Engaging and Enjoyable Meetings, we feature stories and practices to help you reflect on your meeting culture. Today, we’ll share how meetings can support or sabotage your culture-building. Culture is often considered “the way we do things around here.” It’s the set of beliefs and behaviors that direct people in how they act and interact. As a new hire joins your company, they may learn about your organization’s values and culture during the orientation process, but they will also experience the actual culture in their daily interactions. For example, let’s imagine a company states “transparency” as a core value. How does it show up in meetings? Do people invited to a meeting know what the meeting is all about? Do they know what outcome the meeting is set out to achieve? Does the meeting leader share information in a timely manner? Do participants feel comfortable sharing their ideas? Are meeting outcomes and decisions available for people who didn’t go to the meeting or are they only accessible to a select group of people? If the answers to these questions are mostly no, you’d need to re-examine whether the value of “transparency” is actually encouraged in day-to-day interactions like meetings. This presents an opportunity to implement practices that support this value, instead of sabotaging it. As Bob Pothier, Director of Partners in Leadership and a former GE executive, says, “The strongest message about how you want your culture to perform is embedded in how you conduct your meetings.” When you’re building a culture-first organization, you can’t ignore how your meeting practices are promoting or inhibiting the culture you desire. While some meeting practices move you away from your desired culture, other meeting practices reinforce a positive culture. A client came to us because she was frustrated with her team meetings. Prior to speaking with us, she had introduced new practices for goal setting and accountability, which were beginning to lead towards a result-driven culture. Unfortunately, their meetings weren’t helping. Though they often had enjoyable conversations, they usually ran out of time and needed to schedule another meeting to finish. Meetings ended up taking a lot of time and energy, killing the team’s productivity. After working with us to assess their meeting culture, they started implementing a practice called “desired outcome.” A meeting’s desired outcome is the specific result you want to achieve in the meeting. Before the meeting, the meeting leader identifies the desired outcome of the meeting, and shares it with all the participants, so everyone knows what they will accomplish together. The meeting leader frames the desired outcome as a noun, so they can measure the meeting’s success against it, such as “a list of actionable ideas for project X”, “a decision on topic Y”. The leader uses the desired outcome to determine whom to invite to the meeting and how the meeting agenda is structured. At the start of the meeting, the leader states the desired outcome to remind everyone why they’ve gathered. Whenever possible, the desired outcome is displayed on a screen so everyone can see it throughout the meeting. When the conversation goes off track, any team member can ask the question, “Does this discussion help us achieve the meeting’s desired outcome?” If not, the team tables that discussion and moves back to the topic at hand. At the end of the meeting, the team then evaluates together whether they’ve achieve the desired outcome. After a few meetings, the leader and team members started to experience a shift and were delighted at how this one practice helped them transform their meetings. They’ve embraced a results-oriented mindset that applies to both their work goals and their meetings. What do you want your meetings to say about your culture? 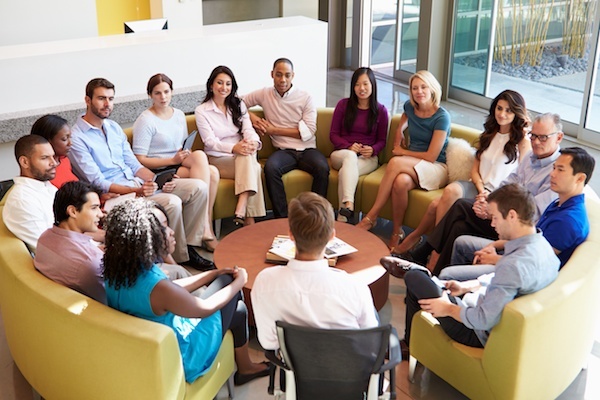 Meetings provide a unique opportunity to assess and drive culture. They occur throughout an organization, bringing people together from multiple departments and positions. Meetings are a space to generate ideas and insights, build relationships, and make decisions. They offer a multitude of opportunities to express the values your company embraces. But too often, your organizational culture proclaims to be one thing, but your meetings don’t reflect that. What do your meetings say about your current culture? What values do you want them to reflect? Learn about more effective meeting practices that support culture-building in our book, Momentum: Creating Effective, Engaging and Enjoyable Meetings. Contact Culture Amp for tools to improve your company culture. 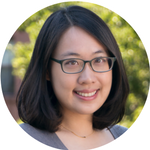 Tai Tsao is Change Management and Customer Success Lead at Meeteor, a collaboration company on a mission to build strong healthy teams in which people thrive and organizations succeed. Tai is driven to help individuals, teams, and organizations unlock their potential, transform the way they work, and make a sustainable impact. She has worked as a organizational development consultant and team coach with a diverse array of organizations. Tai holds a master’s degree in Social-Organizational Psychology from Columbia University and is coauthor of Momentum: Creating Effective, Engaging and Enjoyable Meetings. You can follow Tai on LinkedIn, Twitter or read her articles on the Meeteor blog.